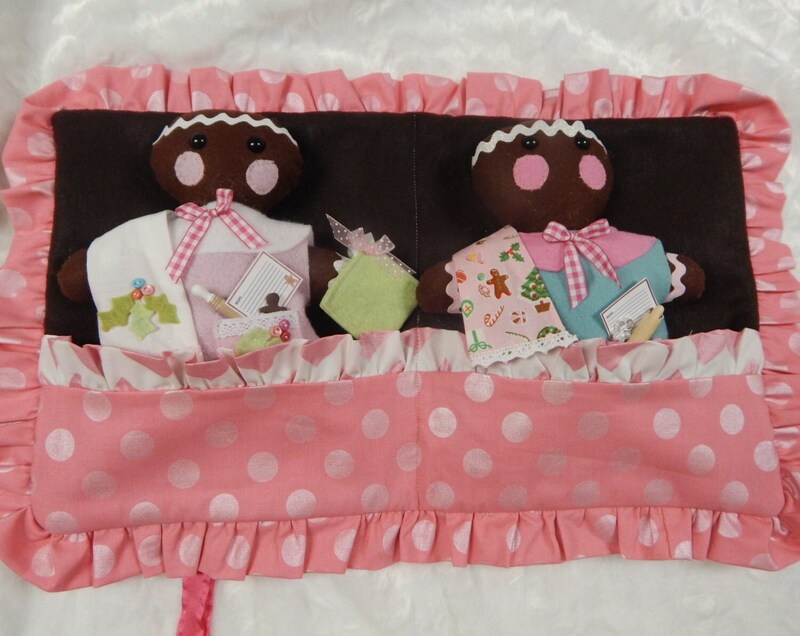 This wonderful Doll carrier is so fun. 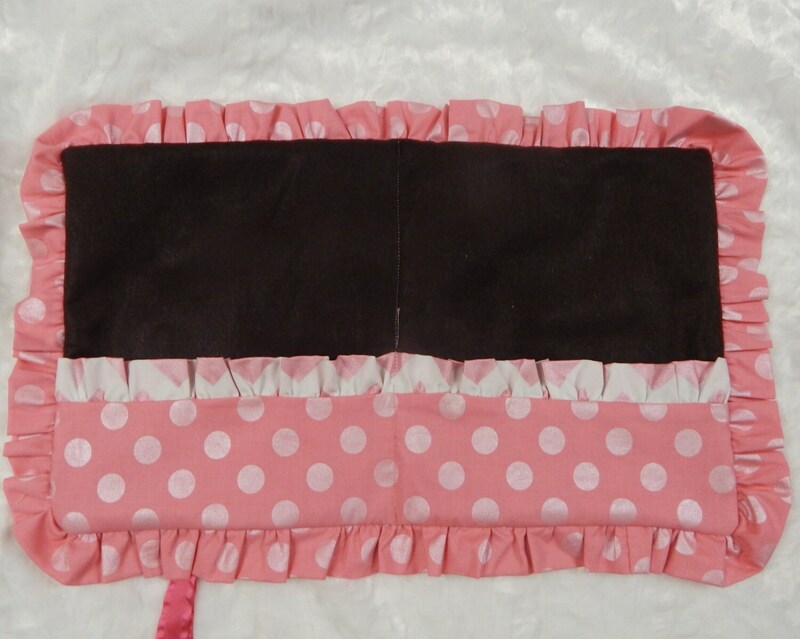 The pockets on the bottom are wide and deep enough to hold dolls, clothing, accessories, doll bedding and more. The carrier rolls up and ties closed. It can be easily carried in a diaper bag, purse, back pack and suitcase. This pattern is very very simple. The basic design is 18" wide and 11 1/2-12" tall. The pocket runs the length of the carrier and is divided into two sections. The carrier is made with ruffles, but the ruffles are optional if a more grown up look is preferred. Step by step instructions along with photos will show how to make this carrier and begin using it. 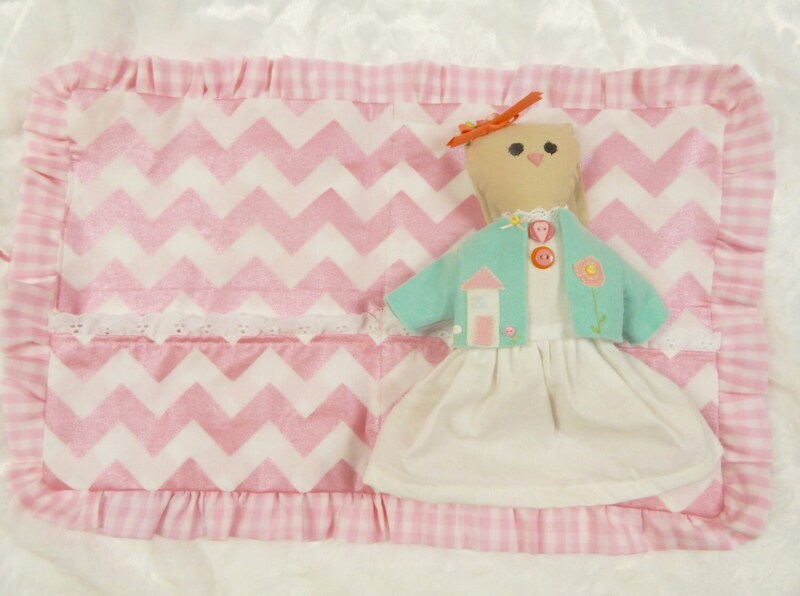 I love using pretty fabric, simple patterns and having a wonderful end product. That is definitely what this doll carrier is. It could also carry little books, notebooks, pencils and more. 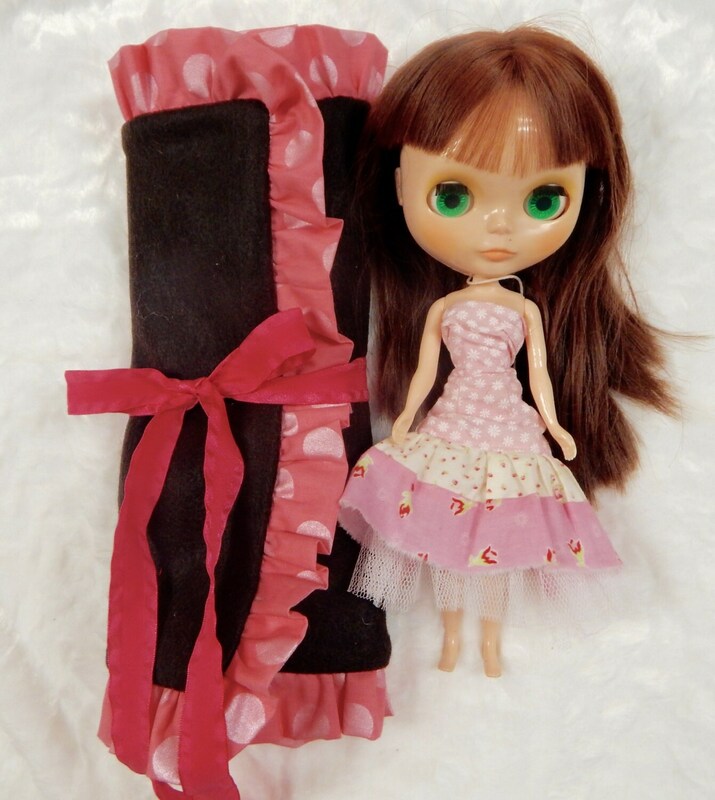 It can be folded in half and tied closed, or rolled up with Barbie/Blythe dolls inside and tied closed. You will receive the download file upon receipt of payment. Nothing physical will be sent in the mail to you. 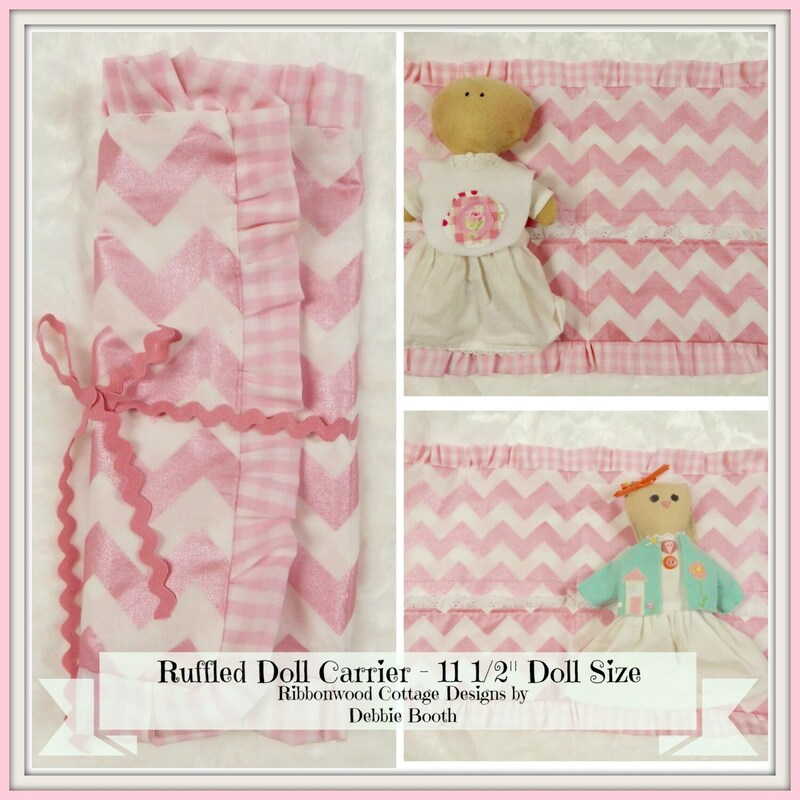 You are not receiving this doll carrier, just the downloadable file and pattern to make this doll carrier.